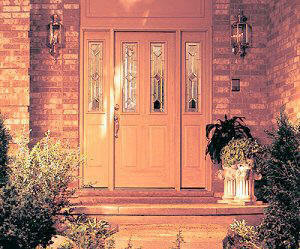 All PMHI framing packages feature Therma-Tru® fiberglass Exterior Door Systems. These doors are molded with real wood graining and intricate detail that can be painted or stained as desired. Also, fiberglass does not warp, split, shrink or swell like wood doors. And, fiberglass is durable, energy efficient, and provides more security than wood. All PMHI framing packages feature Milgard Windows. 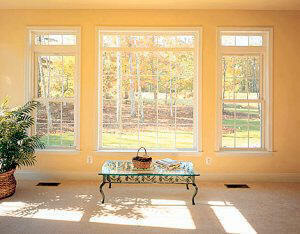 Our standard window is the Vinyl Tuscany series. Milgard Ultra (fiberglass frames) are an available option. When possible, we even factory install the windows for you in the wall panels and guarantee a proper water tight installation. In addition to Milgard's lifetime guarantee and outstanding service policies, our many years of experience with their product has proven their vinyl windows ability to handle summer heat and winter chill. That is why Milgard is an award winning window and patio door company year after year....and why we include them in our framing packages.